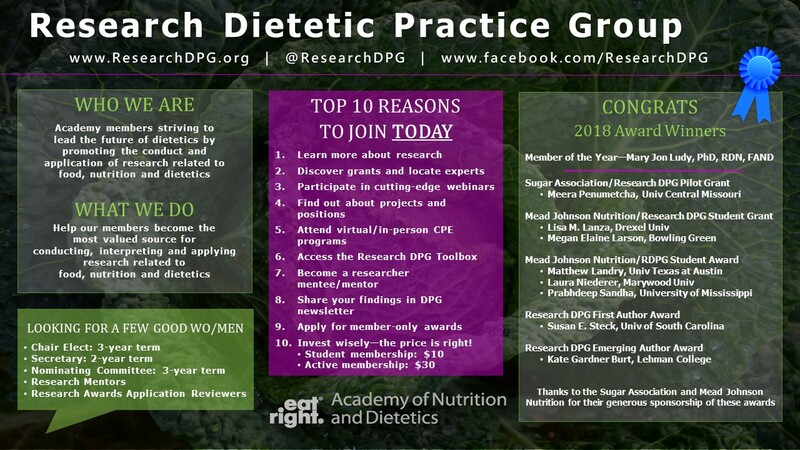 The Research Dietetic Practice Group (DPG) is an enthusiastic group of nutrition and dietetic professionals dedicated to improving understanding about the impact of food and nutrition on health and disease. 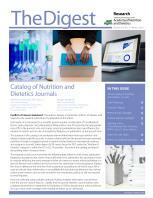 The field of nutrition is multi-faceted—thus, DPG members have disparate research interests. However, the drive for evidence bonds us. Learn more about the members of the Research DPG. Right now we have a free webinar available to members and non-members! Click here for the "Demystifying Grad School" Webinar. 1 CPEU credit is also available!